So much I could write about this week. However, between recovery, fatigue and a sunami of emotion – so much of it awe and admiration for our first time 70.3 athletes …Phil, Ali, Madeleine, Stella and Eric who all dug deep and did so well this weekend. There is a lingering sense of uephoria after such an achievement so resetting for the next training block or race is very individual, but we all agreed we would like to celebrate in the next few weeks with all our team mates. Stay tuned! 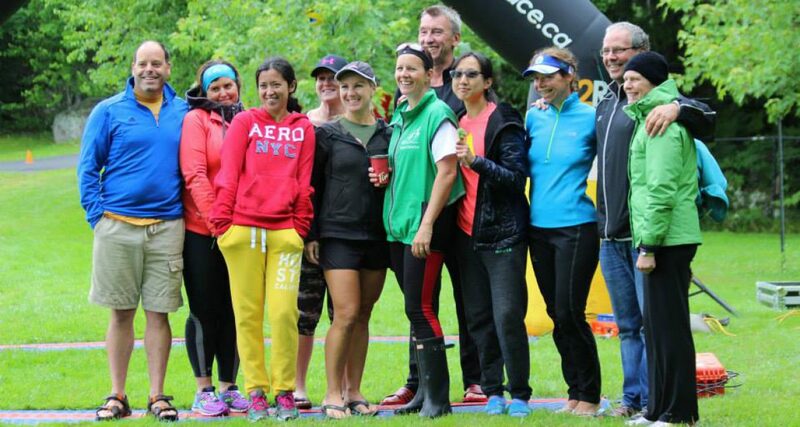 For the bulk of members the next big thing is the Aylesford Lake Triathlon on July 26th. Remember there are a few options that include the Sprint and Olympic distances, an Aqua Bike (so minus the run ) and team events. Rumour has it at least one team will have everyone doing their “weak” sports. Great idea from Coach Caroline. For a couple of people in our midst TRI Lobster in Summerside is next up. I’ll be oin Summerside to cheer on Adam Dorrance who will be in the Junior draft legal race and Coach Meg who will take to the course while Coach Shannon will mind the little ones. Looks like a great event with a good weather forecast! The TRIkids program is going well. Not huge numbers but very manageable and growing. If anyone in the group is interested in volunteering that would be great – our youth leaders also race and have other jobs so there may be days an extra person would be very appreciated! It runs MON/WED/FRI from 8:15 to 9:45 am based from Kentville Outdoor Pool. Our BRIX workout tomorrow is at Aylesford Lake at 5:30 PM. It’s going to be very hot so a swim will be most appropriate. Optional bike+ run or bike OR run on a portion of the race course. Phil and Karen are away so no bike racks this week, but we will set bikes in the same area as the race setup. Remember to bring sunscreen and water- no potable water at the lake! Previous Previous post: Not Tonight! Next Next post: Race Prep Week For Many!